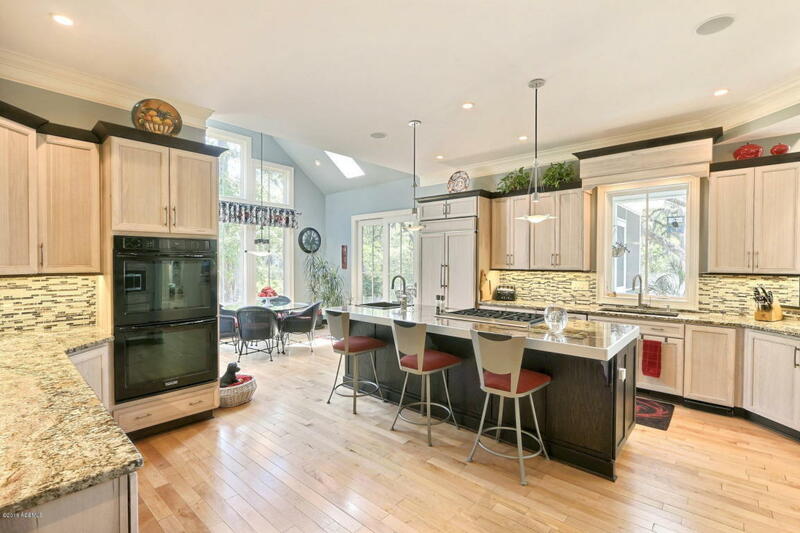 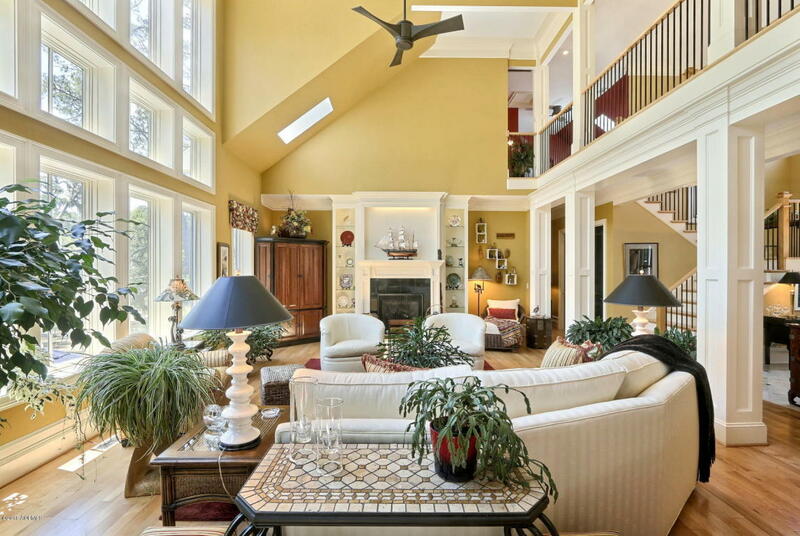 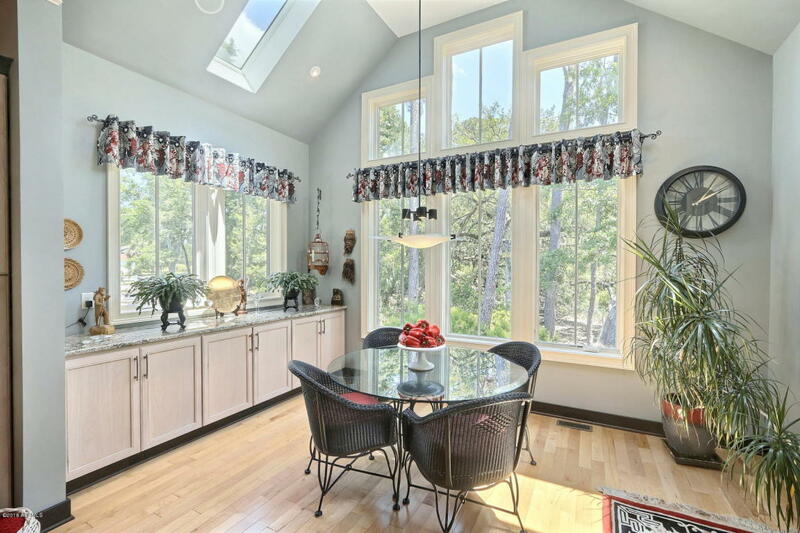 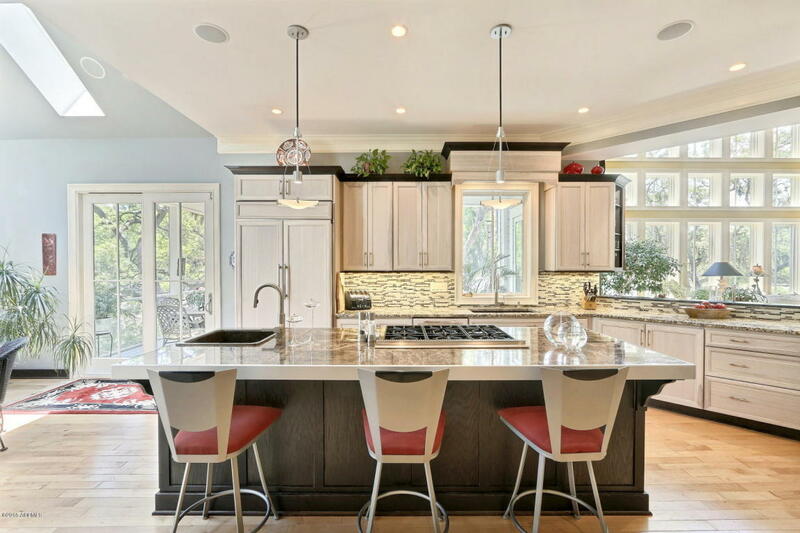 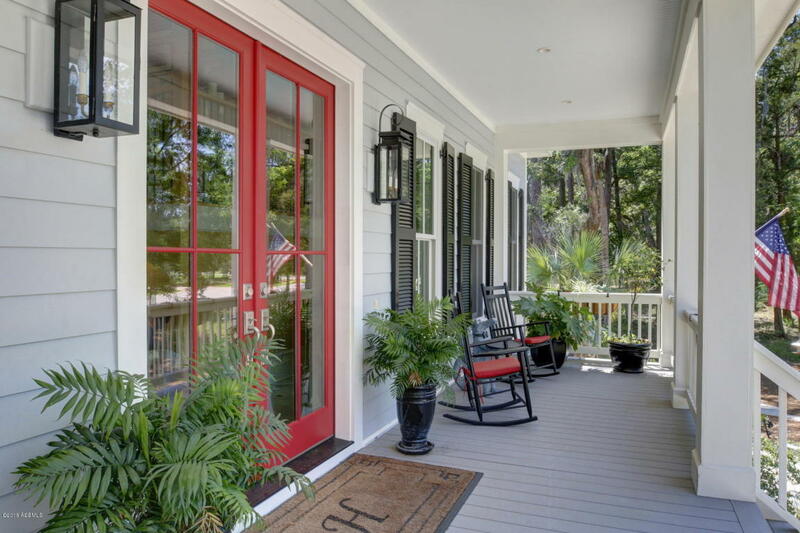 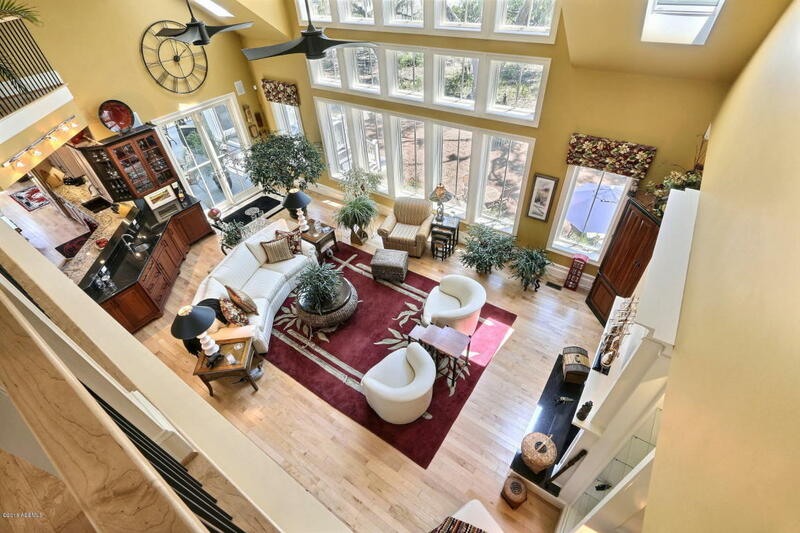 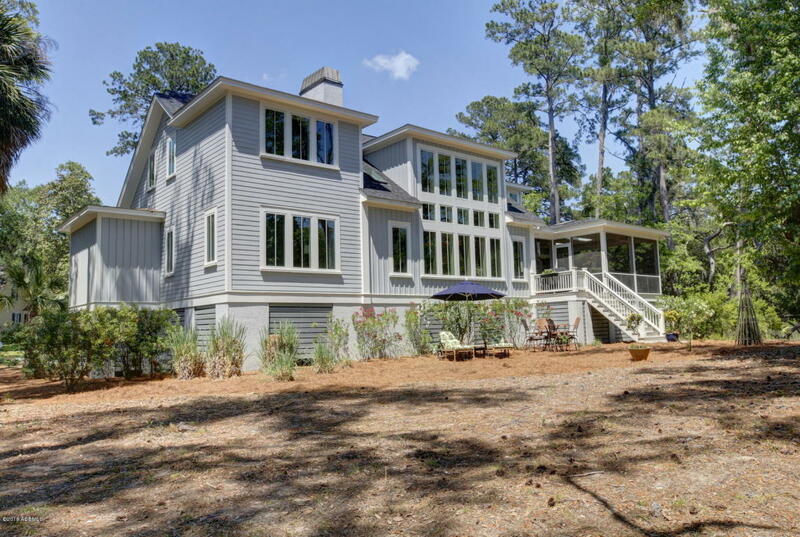 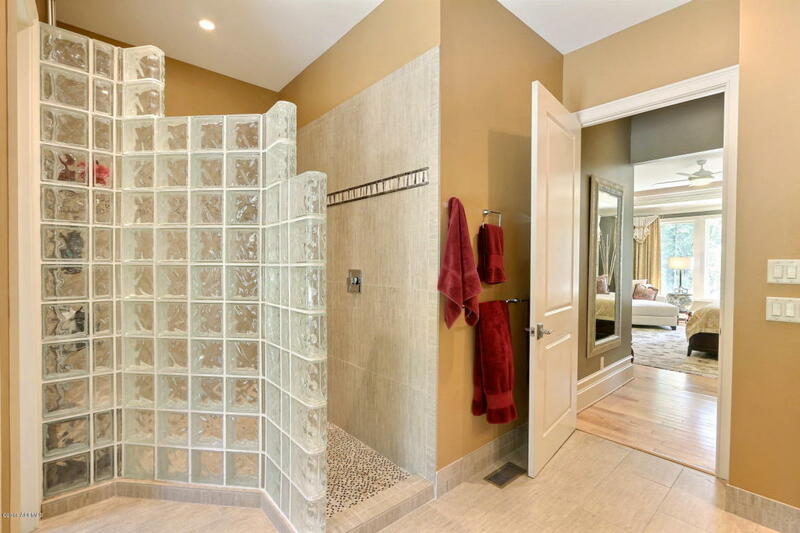 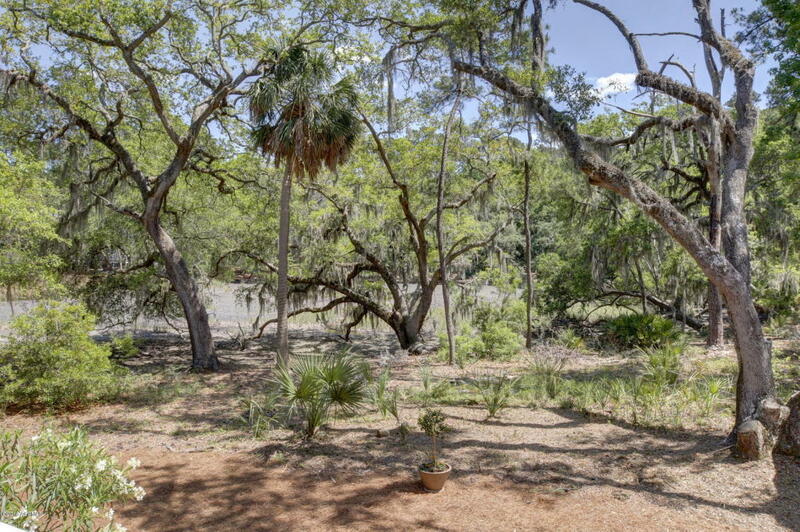 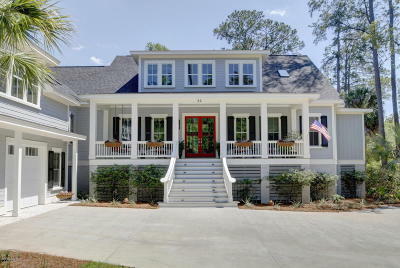 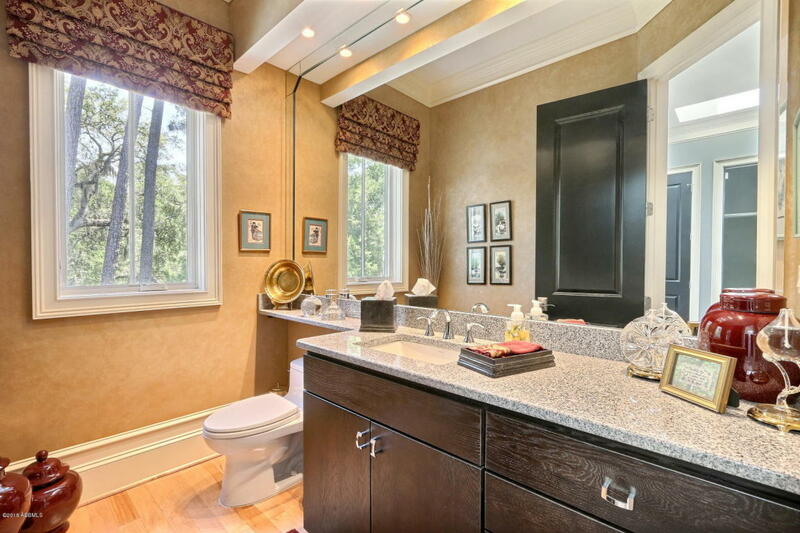 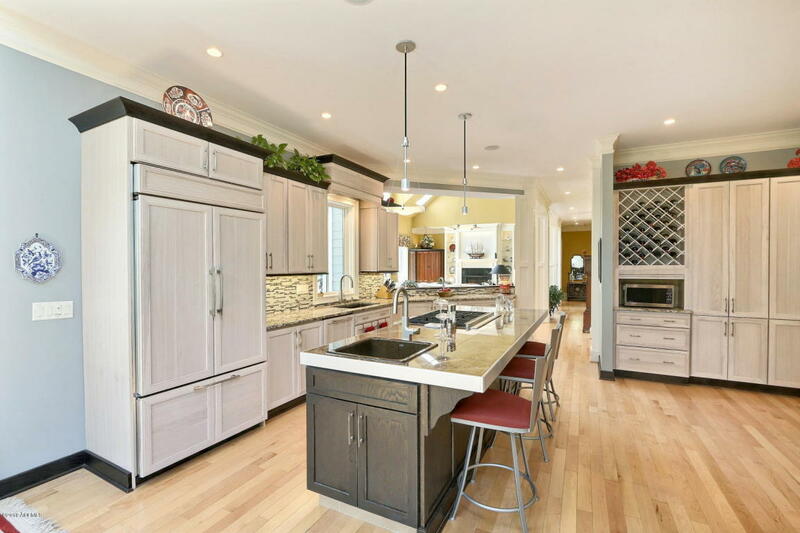 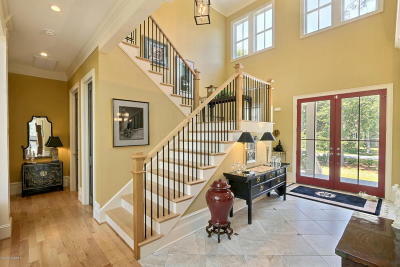 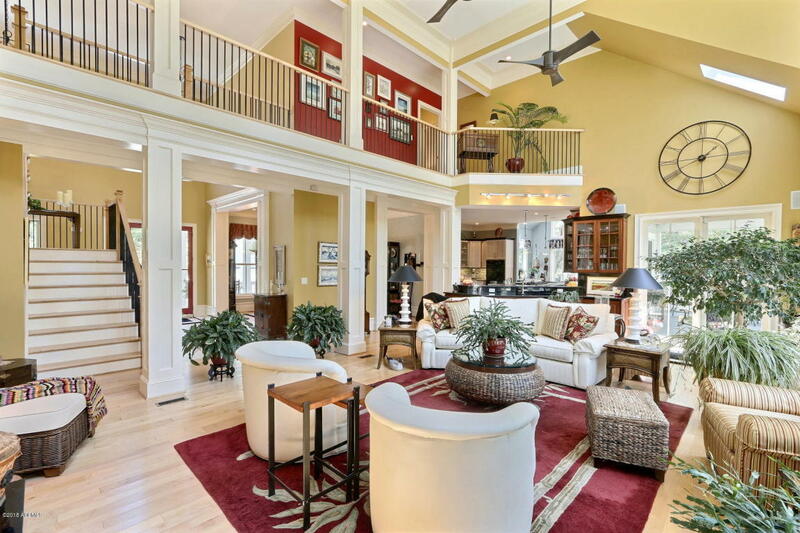 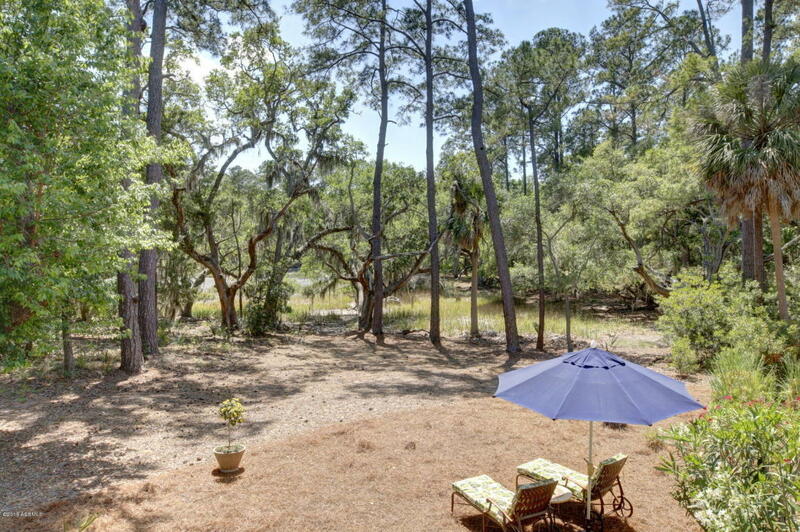 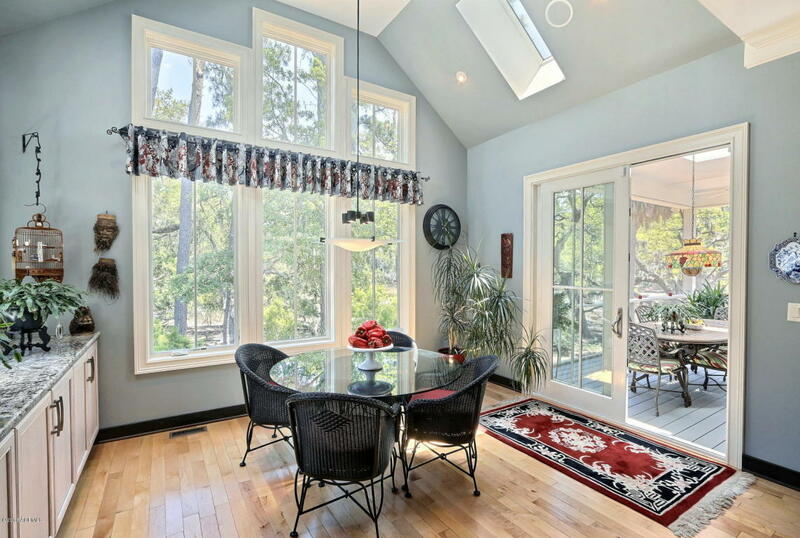 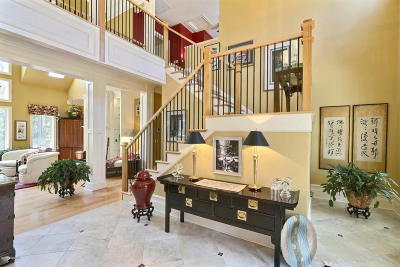 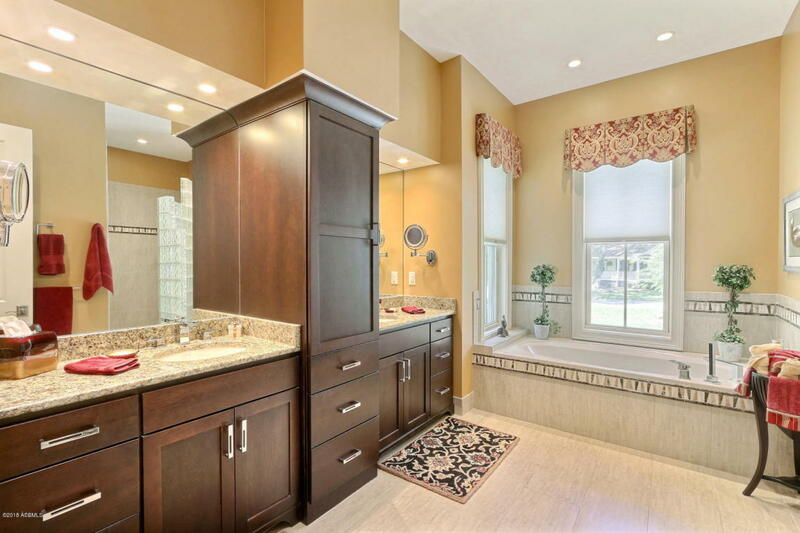 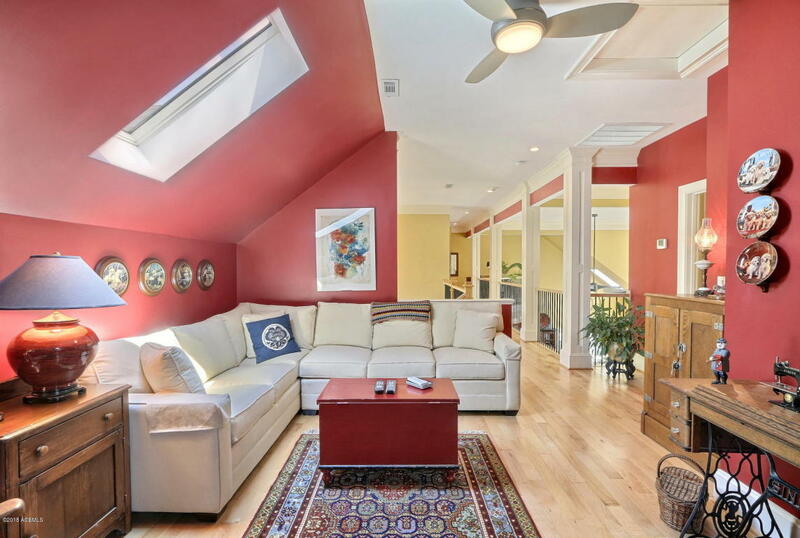 Incredible, custom home - on its own point surrounded by tidal marsh. 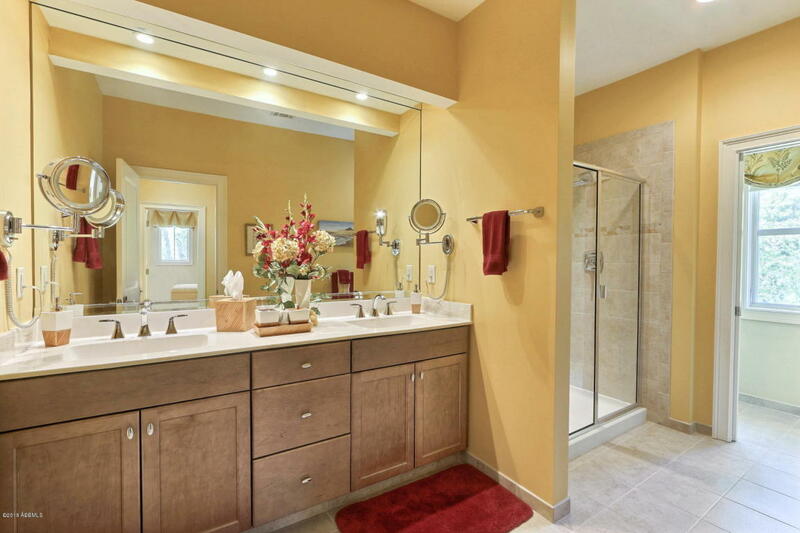 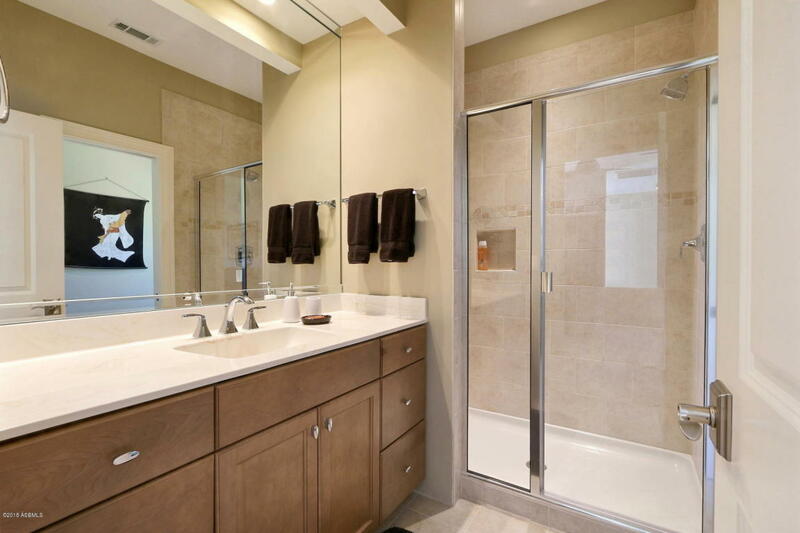 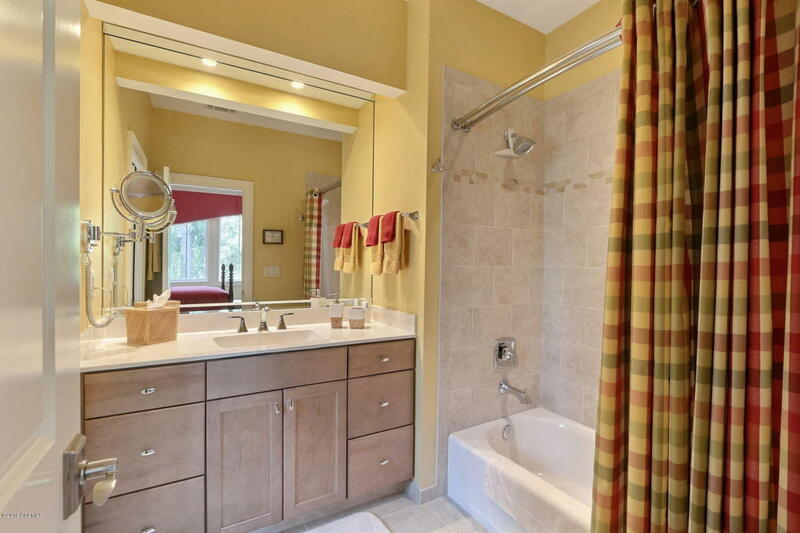 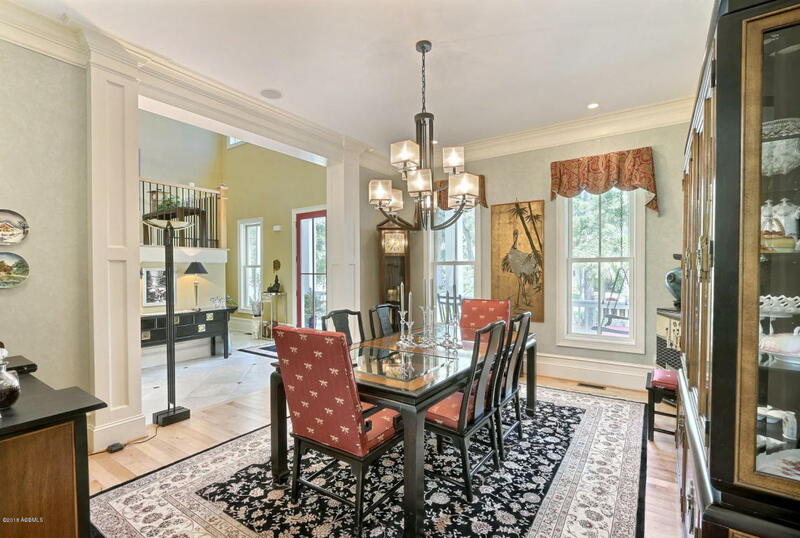 Conservancy land on cul-de-sac allows for privacy with no close neighboring home. 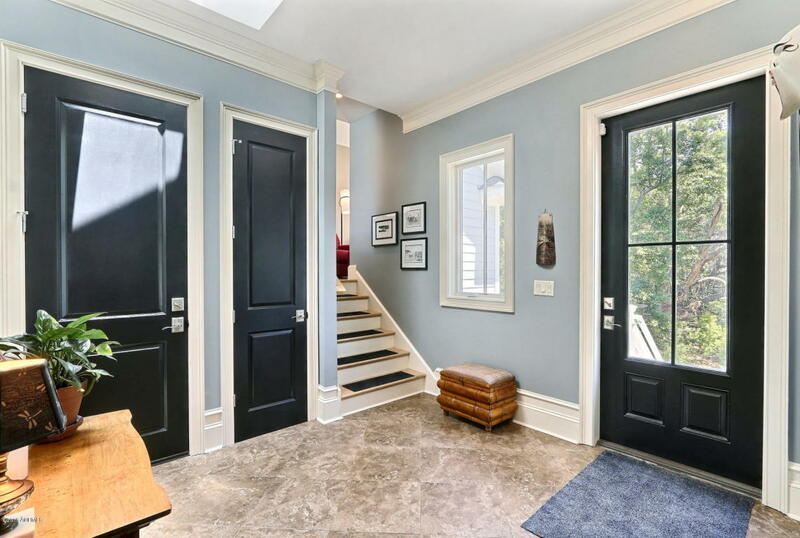 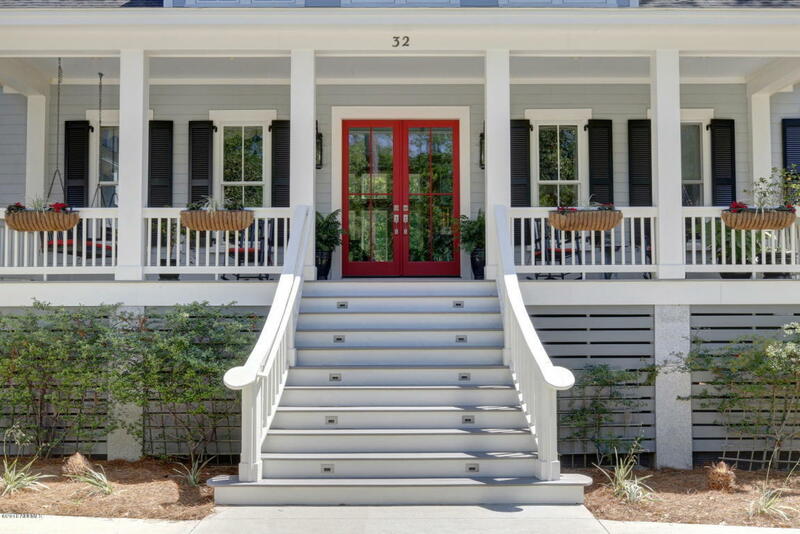 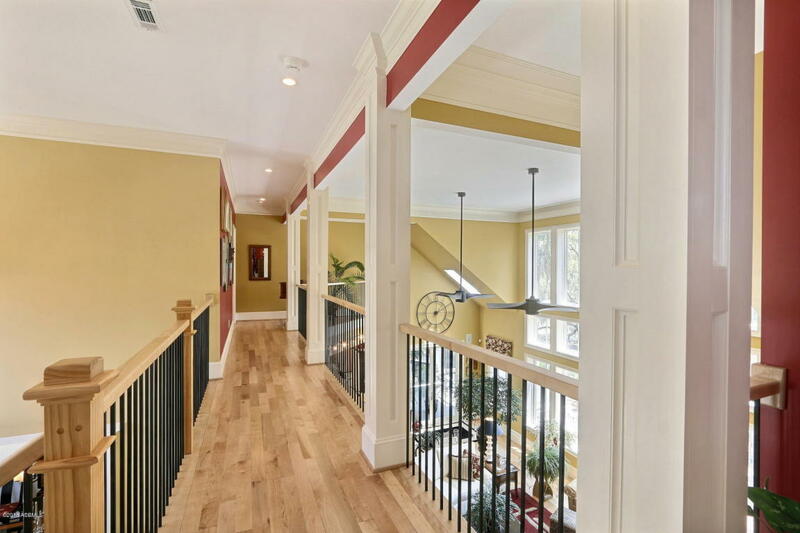 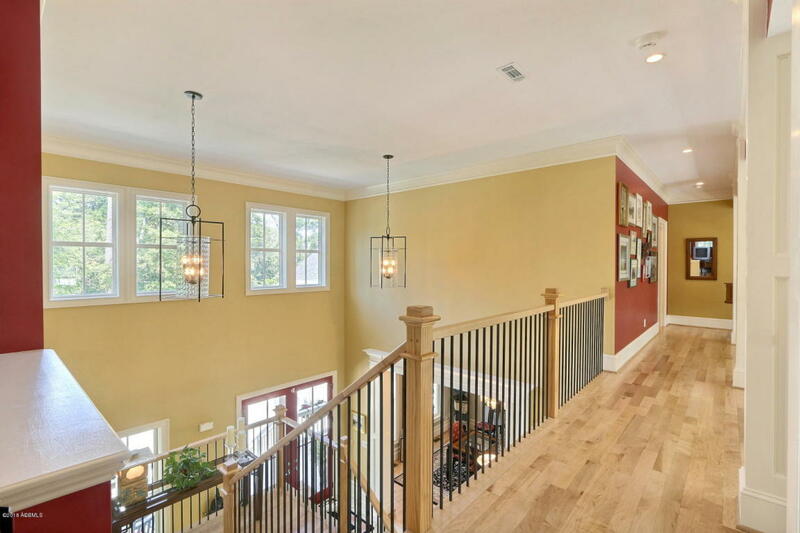 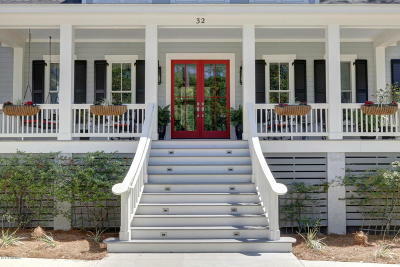 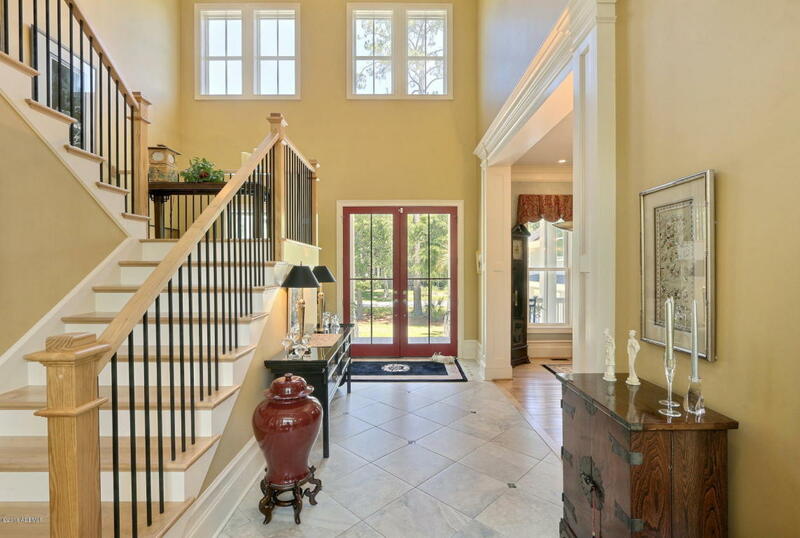 Welcoming front porch leads to 2 story Foyer with soaring ceilings, walls of window that let in light and the natural beauty. 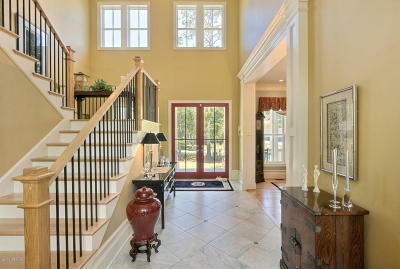 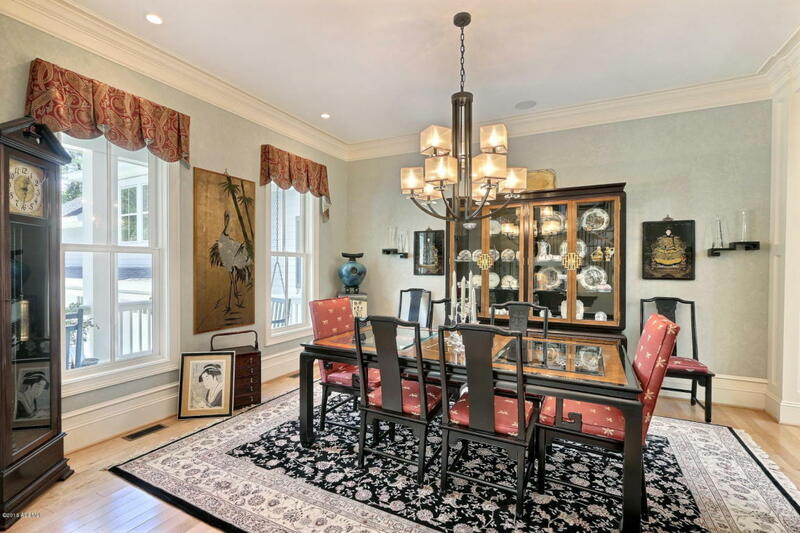 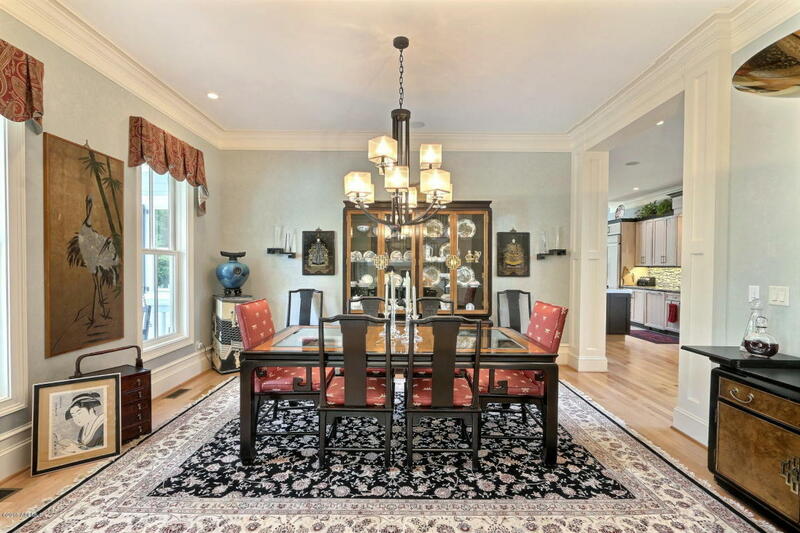 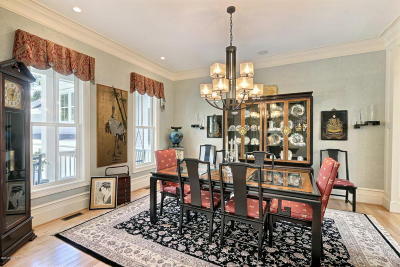 Large Formal Dining Room off of the Foyer. 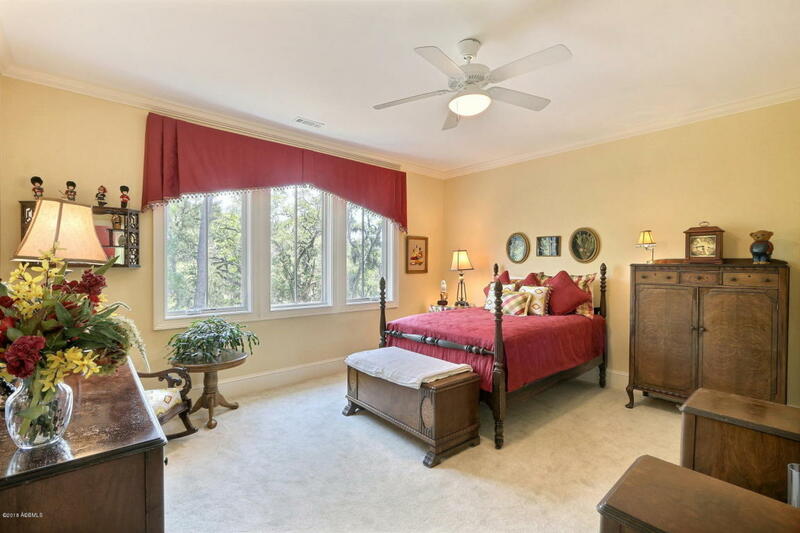 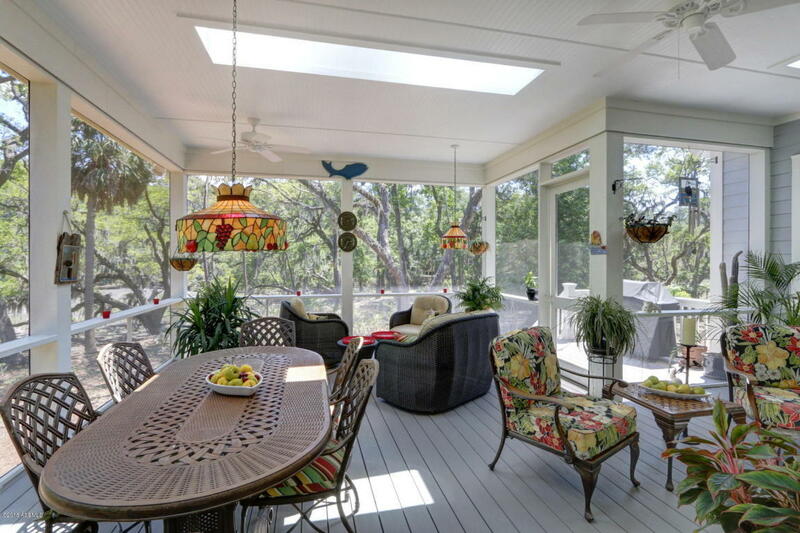 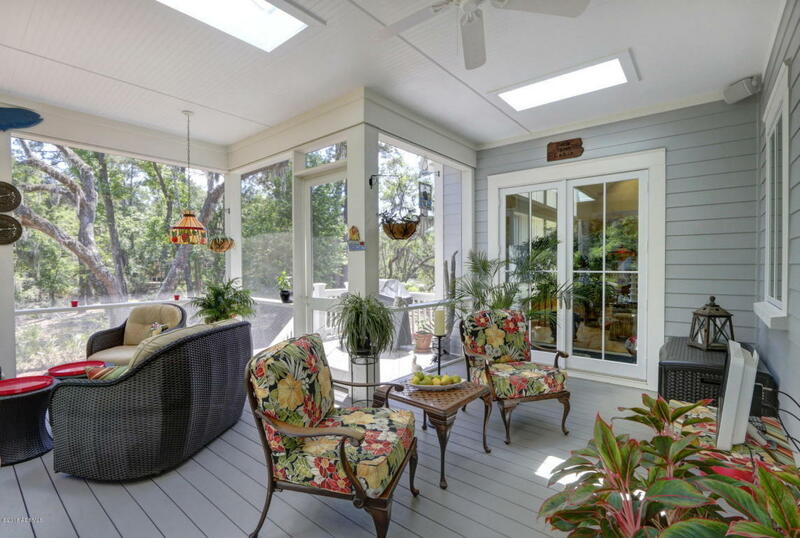 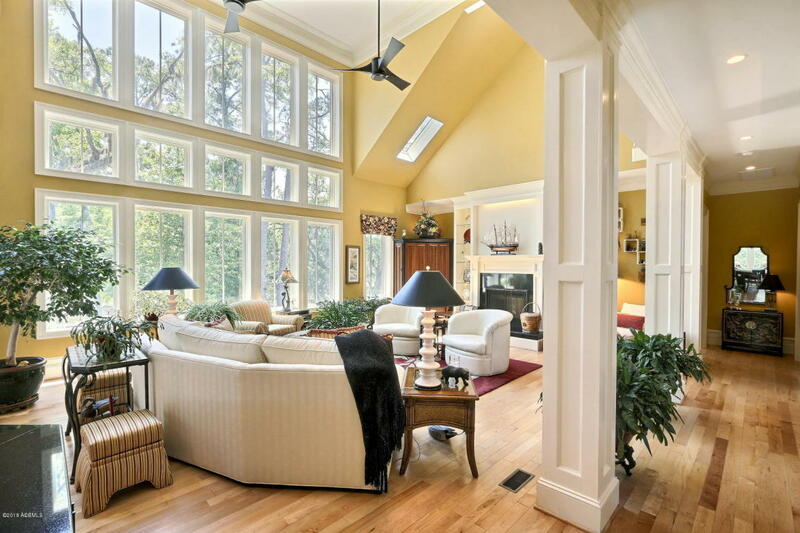 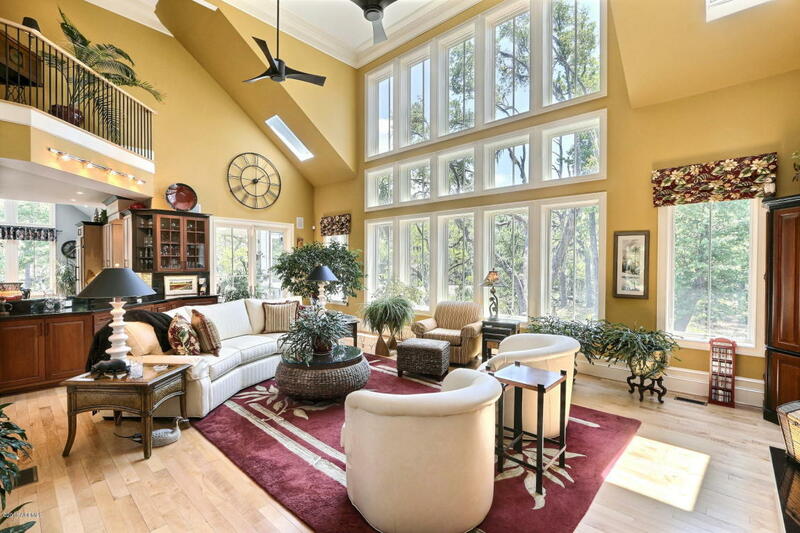 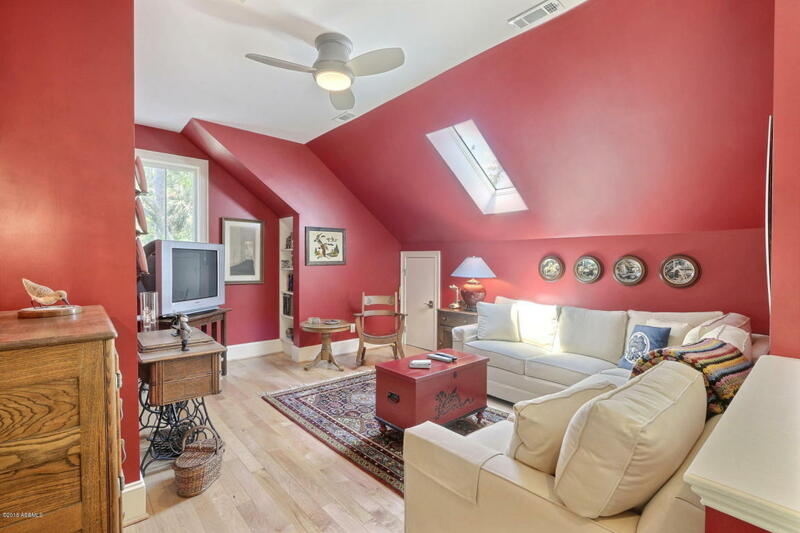 The Living Room has custom windows that soar allowing perfect views of specimen Live Oaks and blue sky beyond. 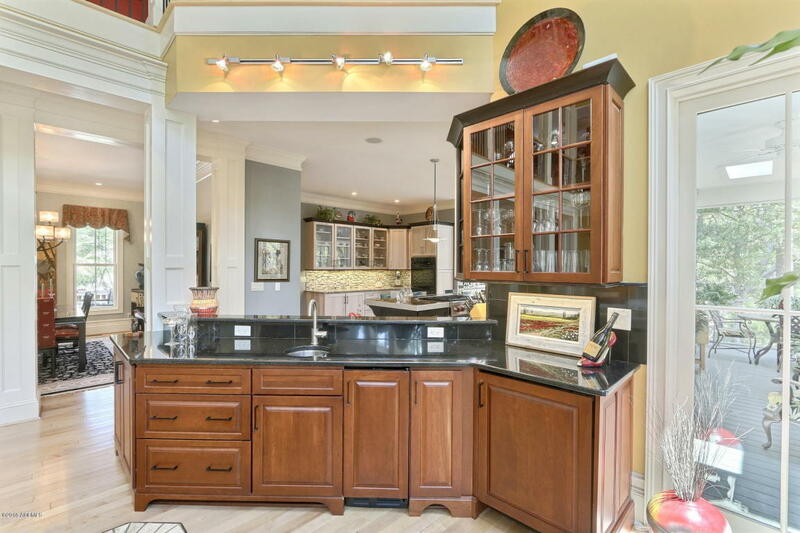 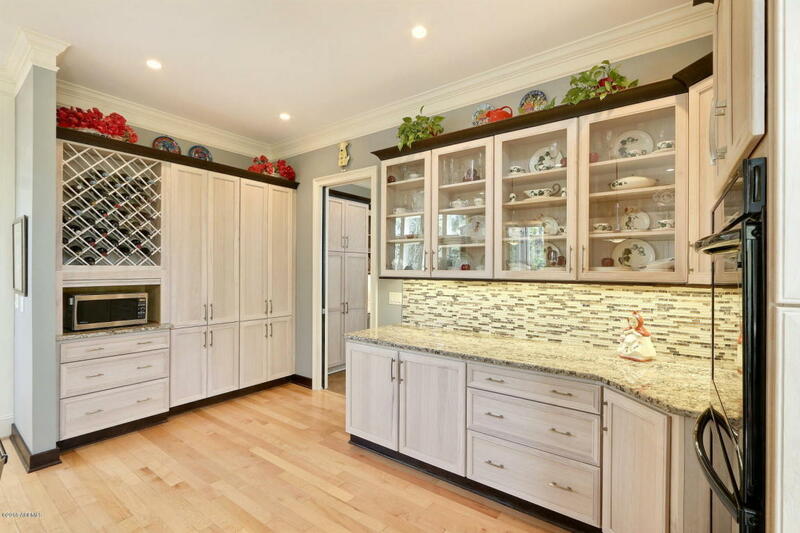 The Gourmet kitchen boasts granite surfaces, custom cabinets, plenty of storage & counter tops for chefs of all abilities. 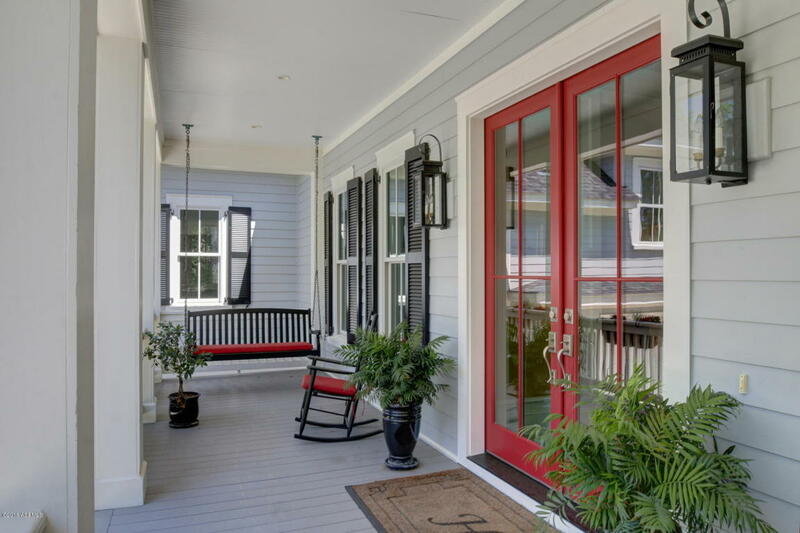 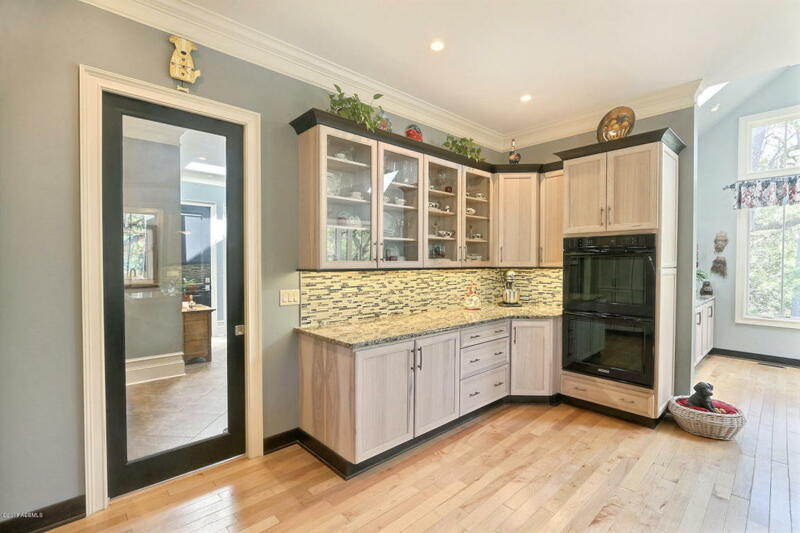 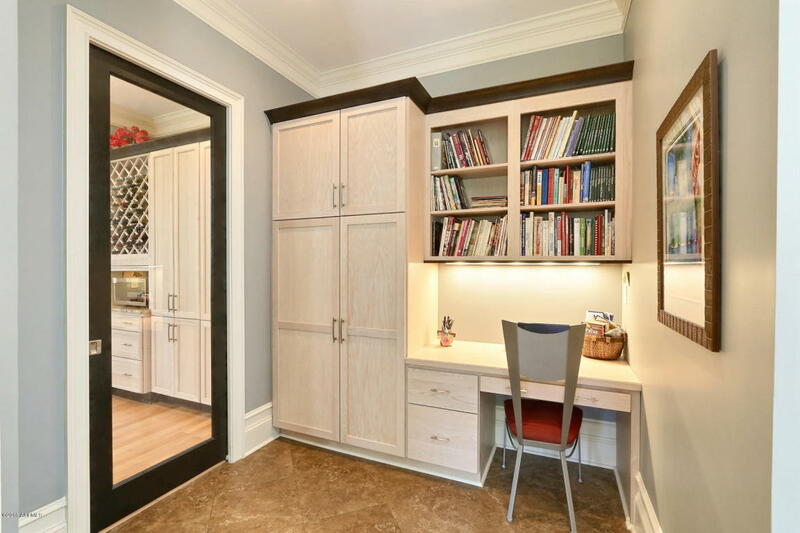 Informal dining in kitchen with sliding French doors to large, screened porch. 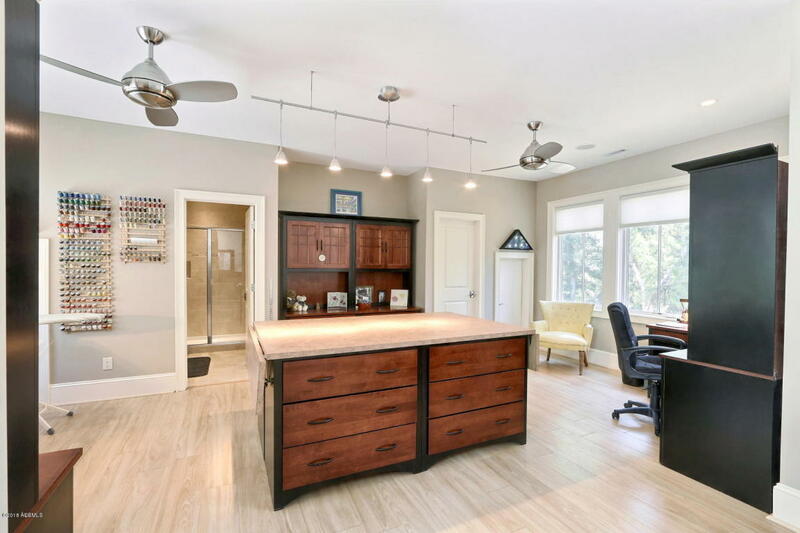 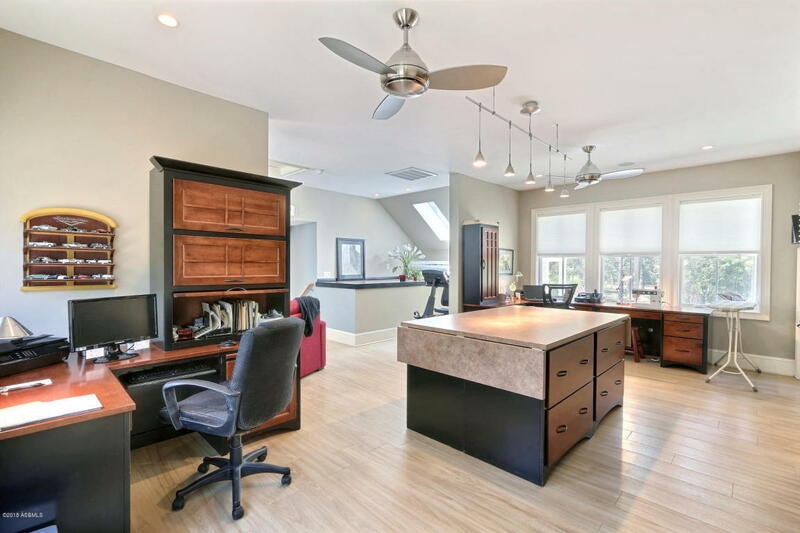 The wing towards the garage, has a glass pocket door that leads to built-in home office, half bath, access to garage & side yard.